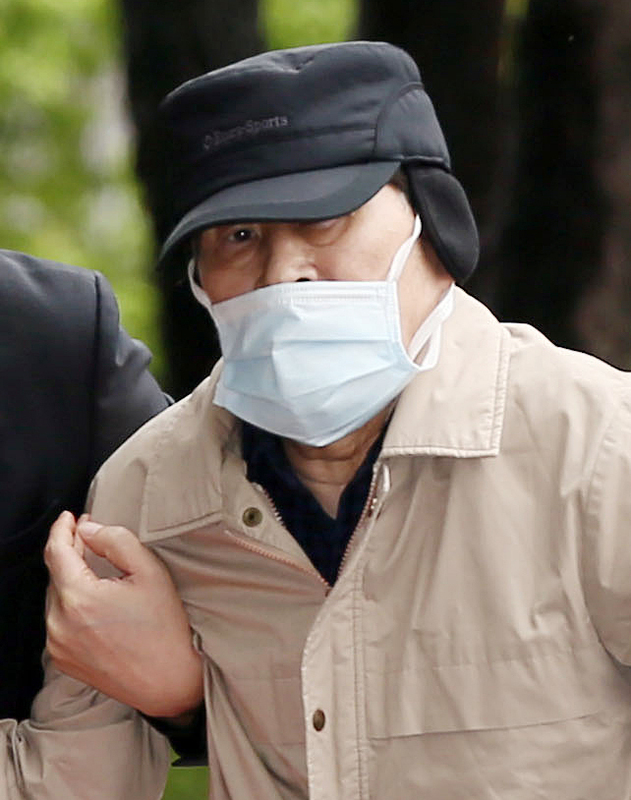 Prosecutors questioned Kim Han-sik, CEO of Chonghaejin Marine Co., on Tuesday as the scandal surrounding former Semo Group chairman Yoo Byung-eon continued to expand. Chonghaejin Marine Co. is the operator of the ferry Sewol that sank off the coast of Jindo Island, South Jeolla Province, on April 16 killing at least 205 passengers and crew members. The Incheon District Prosecutors’ Office also raided locations connected to Moonjin Media, a Chonghaejin affiliate headed by Yoo’s second son, Yoo Hyeok-gi. The locations raided Tuesday include the home of a former Moonjin Media executive identified as Kim. Kim Han-sik, CEO of Chonghaejin Marine Co.
Kim of Chonghaejin is suspected of having been closely involved in the extensive list of wrongdoings allegedly committed by Yoo and his family members. The prosecution is also hoping to determine whether fees paid to paper companies registered to the Yoos were justifiable. Among other suspect payments, the Yoos are thought to have received about 50 billion won ($48.5 million) from companies they operate for the use of trademarks registered under their names. The Yoos hold the rights to the names of more than 1,600 companies, products and ships, including the Sewol. According to reports, Chonghaejin paid the Yoo family 1 million won each time the Sewol set sail. Yoo, whose two sons, Yoo Hyeok-gi and Yoo Dae-gyun, effectively own Chonghaejin Marine Co. through I-One-I Holdings, is suspected of a range of illegal activities, including embezzlement and tax evasion. I-One-I Holdings is at the center of a complex cross-shareholding structure that gives the Yoos control over a large number of subsidiaries. Starting with Kim, the prosecution plans to summon other close associates of Yoo within the week. Summons have also been issued for individuals currently not in Korea, including Yoo Hyeok-gi, and chief of Hankook Pharma Co. Ltd. Kim Hye-kyung. As part of the multipronged investigation sparked by the ferry disaster, the prosecution applied for arrest warrants for three Korea Shipping Association officials on charge of destroying evidence. The officials are suspected of destroying materials linked to alleged bribery by the association. The association, along with the Korea Register of Shipping (KR), came under scrutiny after investigations into the Sewol revealed deep-rooted malpractice within the country’s shipping industry. Meanwhile, the probe into the cause of the Sewol’s sinking is focusing on irregularities in the ship’s structure, cargo handling and emergency equipment. In an attempt to verify claims that the ship was poorly balanced and that Chonghaejin Marine Co. customarily overloaded the vessel, the investigators have questioned surviving crew members and Chonghaejin Marine Co. officials. Officials from associated organizations including maintenance and safety service providers have also been questioned.